Celebrate nutrition this month by showing how much well‑deserved pride you have in what you do as a professional. 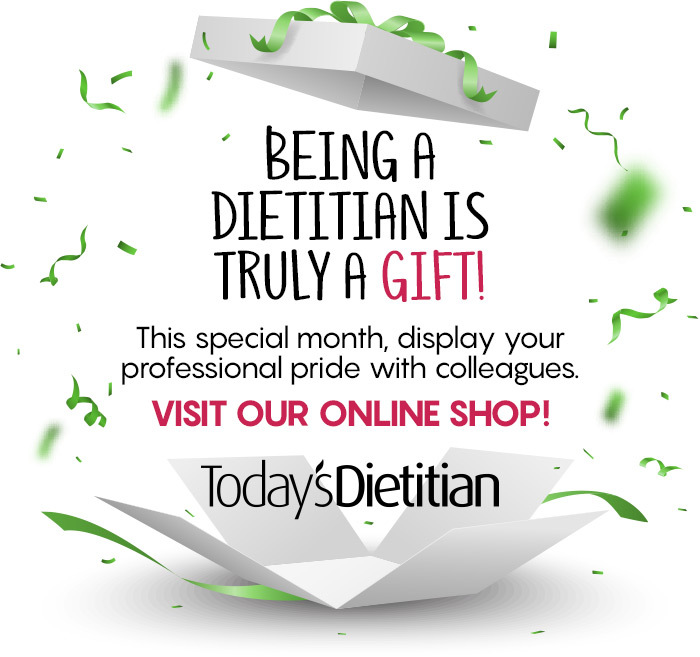 Browse our online Gift Shop to check out new designs that celebrate dietitians and can be applied on a variety of cool items for you or as a gift for a professional colleague. Visit TodaysDietitian.com/GiftShop and enjoy being an RD!